THERE IS NO DIRECTION TO EVOLUTION. THERE IS NO DIRECTION TO NATURAL SELECTION. But I say that is WRONG. I say there is a direction to evolution, and I think that once I tell you, you will agree and prove the textbooks are not correct. The process of evolution always goes toward better CATABOLIC, and, ANABOLIC processes. Natural selection does not select worse CATABOLIC, or ANABOLIC processes..
Mutation that is positive to a catabolic process will enhance anabolic processes. Mutation that is negative to a catabolic process will be mitigated by anabolic processes – and vice versa. So not only is there a direction to evolution, but there is support from the other half of the catabolic or anabolic processes when mutations happen. Why Will Aliens Look Like Earthlings! Please see my sci-fi novel, Writings in Science for much more on all things under the Sun or any star! STreaming everywhere. Read for Dollars – Sci-fi novel WRITINGS IN SCIENCE, a history of the future. Musea is known for contests. Here is one open to all. Love Sci-fi? Want to make money reading it? How about a contest where you read for prize money and the first person who reads it gets $100 and the first THREE that enter and read it are guaranteed to win? My sci-fi novel Writings in Science is pretty good. I want to get the word out, but with all the books out there, somebody has to READ it. Be the first, second, or third, and you will get a check. Fine Print. The first THREE people that contact me and promise to stream and read the novel will be the only ones entered. The book costs $5.99 up front, but I will add that amount to each of the prizes. WHEN I GET THREE PEOPLE, I WILL E-MAIL ALL OF YOU WITH THESE WORDS GO! THE CONTEST STARTS NOW. Finer Print. You must have a US mailing address for me to send the money. You must prove in some way that you have purchased and read the novel to get any of the prizes. (I may ask a question or two about some section – nothing too tricky). You must e-mail me when you are finished reading.. It is big with many pages, so if you get a dry section you may skim, IF you don’t overdue the privilege. I get to decide all ties and such. 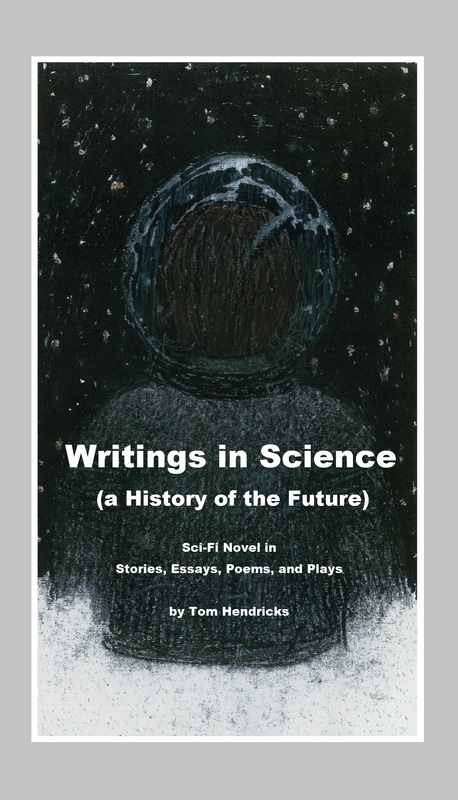 WRITINGS IN SCIENCE , a History of the Future, is a sci-fi novel told in stories, essays, poems and play. The premise is this. The Earth is in it’s final days as the erratic Sun is about to expand. A man named “I”, collects his favorite Writings in Science, and leaves in the last days. This is that collection.